Robinson Air provides air conditioning, heating, and home performance services to the residents of Indiahoma, OK and the surrounding areas. Call us today at 580-699-5760 for more information about our services or to get an estimate. Read our reviews and find out why your neighbors consider us to be the experts for HVAC repair, replacement, and maintenance in Indiahoma, OK. I always have great service from any of the technicians from Robinson Air. Mike is especially friendly and tells me about everything he's doing and why he's doing it. I have had this service for 4 years and have always been happy. This was the first time I have used Robinson Air and I was not disappointed. Tom was professional and friendly, did a thorough job and kept me informed of my options. He arrived when I was told he would, and the charge was reasonable. Very good and knowledgeable service men. Doing a vip tune up on a 3 year old Bryant system and a 2 year old robinson air system. Cleared drains,changed filters and washed condensors. Customer is now ready for the summer. Installed a 4 ton Robinson a/c mobile home system. 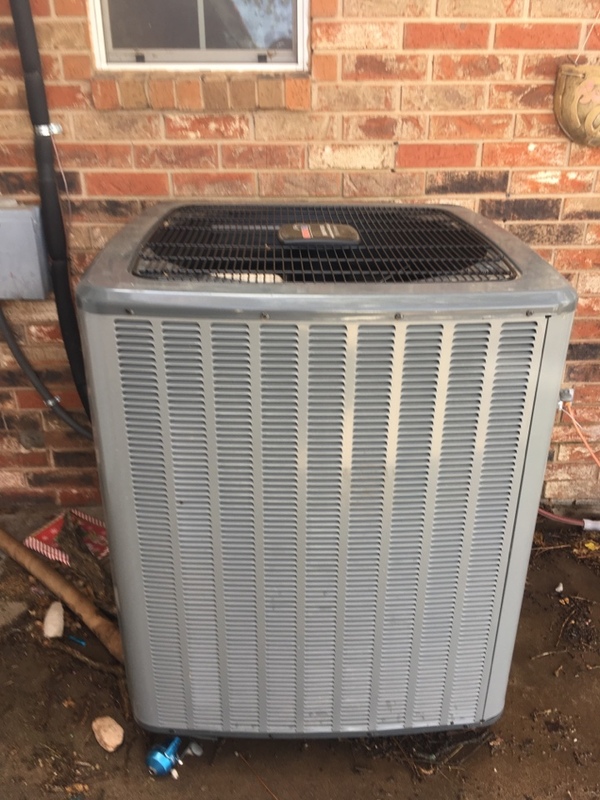 Performed VIP service maintenance for platinum customer on a air handler - checked heating operation and replaced weak blower motor start assist. This part was free of charge - included in customers Robinson Air Platinum Service Plan. Adding 410@ to a 8 year old comfort maker. Installed a Robinson air 4 ton mobile home unit. Sound a summer tune up on a 1 year old Robinson air heat pump and a 3 year old Bryant heat pump. Washed out condensors changed filters and cleared drain customer is ready to stay cool for the summer.